"Giving hope to our community"
Join us, September 13th, for our Golf Tournament fundraiser presented by Silicon Forest Electronics. Click here to get your team registered and browse our sponsor opportunities! What a blessing I’ve found volunteering at The Closet! Being able to serve and prepare our shopping floor for our clients is such a privilege. It is such a humbling experience for me personally. Thanks to my friend and founder Denise Currie, I have the utmost respect for her vision. God is good, He is so very present here at The Closet. I feel, through Denise, God has guided me to The Closet. There is always something to be done, whether restocking shoes, filling up the clothes-racks, or putting out more toys, games, puzzles and books for our childrens clients. You can always find something that needs to be done. All of the volunteers are here to help and put others needs before ourselves. It is a very comforting accomplishment. I know I not only speak for myself but all my co-volunteers on Monday and Tuesdays, Ann, Cheryl, Janette and little Lindsay are here to serve also. I thank Denise for her determination, perseverance and her love for this Ministry. And for that, The Closet has made me a better person. The Giving Closet’s focus during the back to school season this year is foster kids and high risk youth between the ages of 13 and 21 years old. They have not been adopted and are about to age out of the system. We are planning a day of shopping for these forgotten students. We will meet them at the store and give them a chance to pick exactly what they want to get ready for heading back to school! Our goal this first year is to help 20 students, but we will assist as many students as your generosity will allow!! 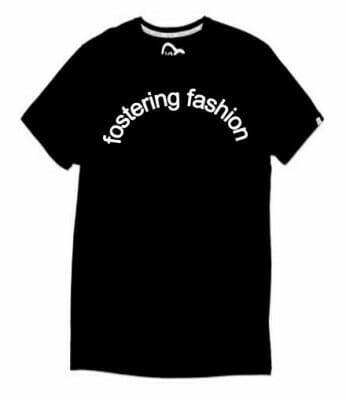 …to provide a foster kid a back to school shopping experience. I have observed and have a good sense of the Closet’s flow of donations over the last several years as a board member, and with my wife as a volunteer. 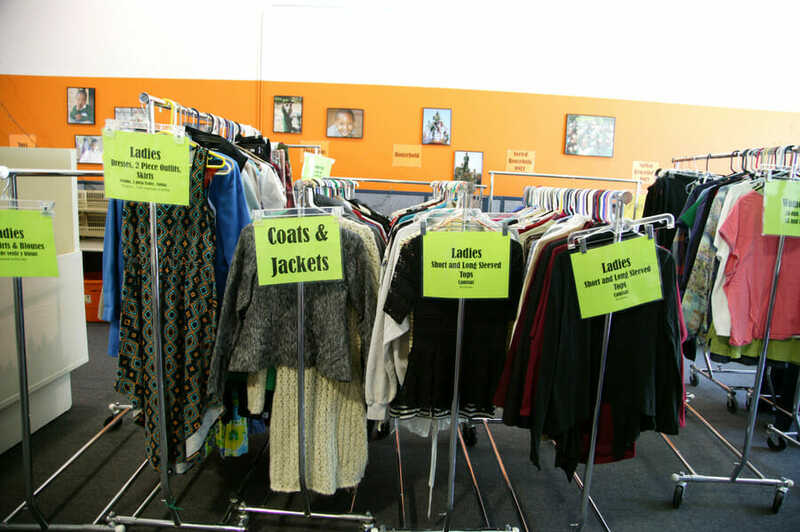 The Closet serves a lot of families a day and a lot of clothing items are going out the door. What has been amazing to me is that we have never run out of donations coming in. We have done a fair job in letting the Vancouver Community know that the Closet exists and once they realize we give out donations (after they are sorted and hung in store like fashion) as they come in at no charge…free for qualified folks, those who are truly in need of a helping hand., they exclaim; “we want to give and do more!” (A lot of volunteers are recruited this way). Once folks learn the Closet exists they tell their friends and ask “What’s in your Closet?” The need is huge and yet the community by a lot of methods (word of mouth etc.) is getting the word out. The Closet is blessed to have these donations keep coming in to serve the Community in this much needed way. Thank you Vancouver and Clark County! For all you Amazon.com lovers out there…Shop ’til you drop and The Giving Closet can reap the benefits! Same products, prices and services. For all you Fred Meyer shoppers out there… Here’s a way to help support The Giving Closet just by doing what you already do each week. Shopping!! You will still receive your Fred Meyer rewards just like before, but as an added bonus Fred Meyer will make a donation to The Giving Closet! Sign up for the Community Rewards program by linking your Rewards Card to The Giving Closet at www.fredmeyer.com/communityrewards. You can search for us by our name or by our non-profit number 86525. Then, every time you shop and use your Rewards Card, you are helping The Giving Closet earn a donation!